Our Learner of the Month for January is Solomon Annison, an IT Support Technician at J&C Joel based in Halifax, who is about to enter into EPA for his Level 3 Infrastructure Technician apprenticeship. Solomon was nominated by his line manager, Brandon Wilcock, for “being outstanding and also for managing the IT Service Desk on his own in the beginning of January 2019”. J&C Joel Limited was established in 1978 , they are one of the world’s leading manufacturers and installers of flame-retardant fabrics, flooring, drapery and stage engineering. J&C Joel is a family business which was started by the current CEO’s Father. “I was plodding through my A-Levels feeling a little unmotivated, and decided to hand my CV in around a few places and see what happened. I was contacted by Estio and within a few weeks I had started my apprenticeship, which was fantastic. I was able to start earning a salary, start achieving some qualifications, and I discovered that I really enjoy the workplace environment. “I started the apprenticeship with some knowledge, but I now have so much more knowledge! In my day-to-day role I have far more experience than I could have picked up in school. In training I’ve gained a number of qualifications that I didn’t have access to in sixth form. “I’ve found Networking to be the most challenging, I didn’t have any prior knowledge because it involved a lot of terminology I hadn’t come across before, but I also managed to pass the module because of the support from trainers who pushed me and motivated me to achieve. “I always remind myself of the quote, “do something today that your future self will thank you for” and this drives me. Being on the apprenticeship is something I know my future self will thank me for, and I would definitely recommend it to a friend if they were interested in going in to IT. I’ve had absolutely no issues throughout the apprenticeship and I’ve felt really supported along the way”. 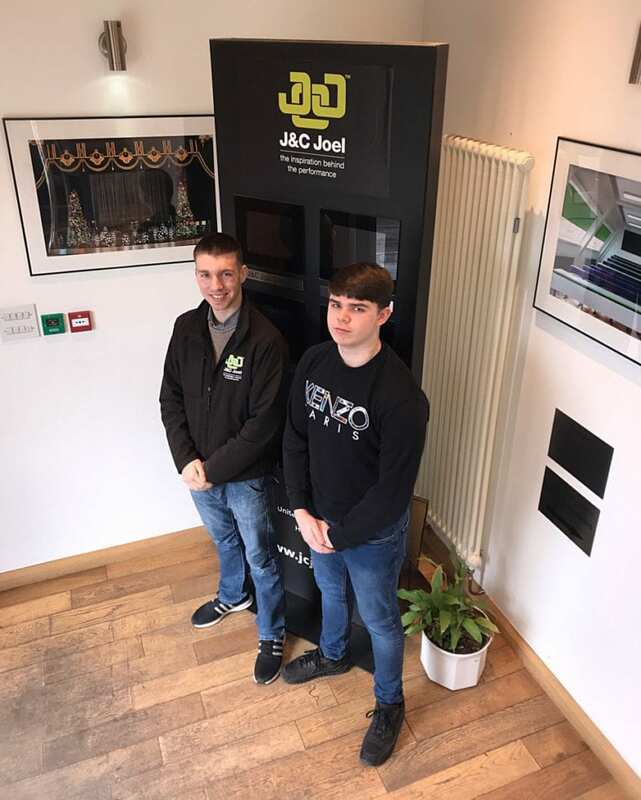 Brandon explained that J&C Joel regularly takes advantage of apprenticeships, and have employed up to 15 apprentices across all areas of the business, including Reception, Manufacturing, Sales and Accounts as well as IT. We are so thrilled that Solomon and Brandon have both found the apprenticeship programme to be a roaring success, and wish Solomon the best of luck in his upcoming EPA.